Wondering what to do while staying at Jenkins Cove Cottage Rental? Why no go canoeing? 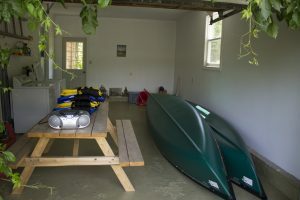 We have two canoes and some life jackets, ask us for details. You can also go swimming, have a picnic on the shore. Or bring your own kayak and go kayaking! We have four pairs of snowshoes for your use. We are also close to the NB snowmobile trail. Contact us for more information on rental prices.